Spread the holiday cheer and don't forget to give a toast of thanks! 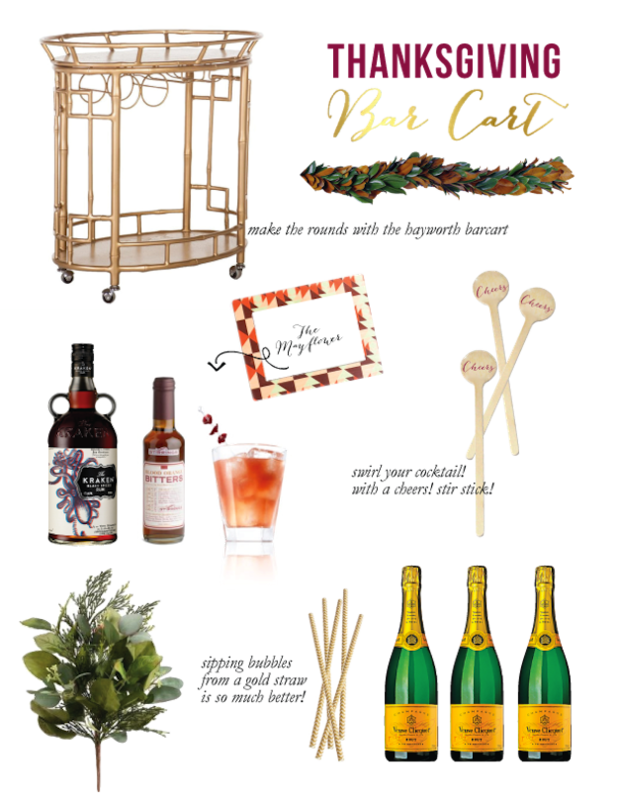 Thankful to Keely for including our Hayworth bar cart. See more of her festive cocktail party here! LOVE those gold straws! Thanks for sharing!